The owner of Chelsea football club, Roman Abramovich has divorced his third wife, Dasha Zhukova, a woman of 36-years-old. 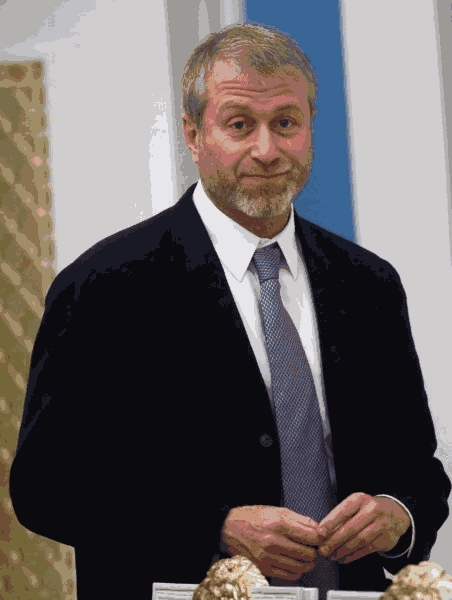 The Russian billionaire, Abramovich who is just 50-years-old was reported to the AFP on Monday by his spokesman, John Mann that his boss has separated from his wife. Roman Abramovich is rated by Forbes magazine as the 12th richest billionaire in Russia with $9.1 billion as Net worth, he also owned Chelsea FC since 2003. The statement made by Roman Abramovich did not clearly stated maybe he, and his wife, Dasha Zhukova are married but, they have two kids consisting of a son and a daughter together. *1 >> From 1987 to 1991, Roman Abramovich first marriage to Olga Lysova – Just brief! *2 >> From 1991 to 2007, Roman Abramovich second marriage to Irina Malandina, they have 5 children together – Spent 16years! *3 >> The third wife that Roman Abramovich married to, is Dasha Zhukova which they have two kids together. According to The Guardian, Abramovich’s first marriage was brief, from 1987 to 1991 withOlga Lysova. He divorced his second wifeIrina Malandinain 2007 after a marriage lasting 16 years. They had five children together. Dasha Zhukova is the principal founder of Garage Museum, a well-known contemporary art center and gallery in Moscow. She also collaborates with Roman Abramovich on the New Holland Arts center in St. Petersburg. The separated couple has said that they will still working together as the the co-founder of Garage Museum and New Holland Cultural center.